Brace yourselves, the November update is here. Some improvements in the VMs settings, an option for nested virtualization, as well as some UI fixes and enhancements. As always, the complete changelog is available here. Before jumping right into the Xen Orchestra update, some news about XCP-ng! XCP-ng is proud to announce that XCP-ng is now officially a member of the Xen Advisory pre-disclosure mailing list! all these vulnerabilities are patched and already available in XCP-ng updates (for both XCP-ng 7.5 and 7.6). You can simply update your XCP-ng using the Xen Orchestra pool patching features. Note: updating won't interrupt anything, you can update confidently in production. It will be taken into account only after a host reboot and you decide when you want to reboot. 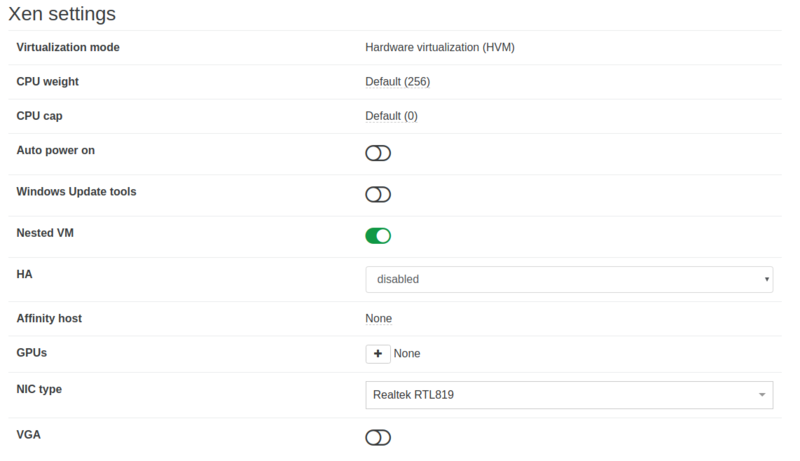 It is now possible to select nested virtualization in the VM settings directly in Xen Orchestra, no more command line to use! When you are trying to backup a VM that no longer exists, you will now see a warning displaying the UUID of the missing VM(s). It's now possible to switch the virtualization mode (PV/HVM) of an existing VM. Simple and turnkey to use! Warning: you must know what you are doing. Switching without the correct configuration may break your setup (eg: if you didn't install the bootloader in the MBR while switching from PV to HVM, or even worse, in HVM to PV, if you don't have the correct PV args)! Use with caution. We added a new option in the performance alert plugin. 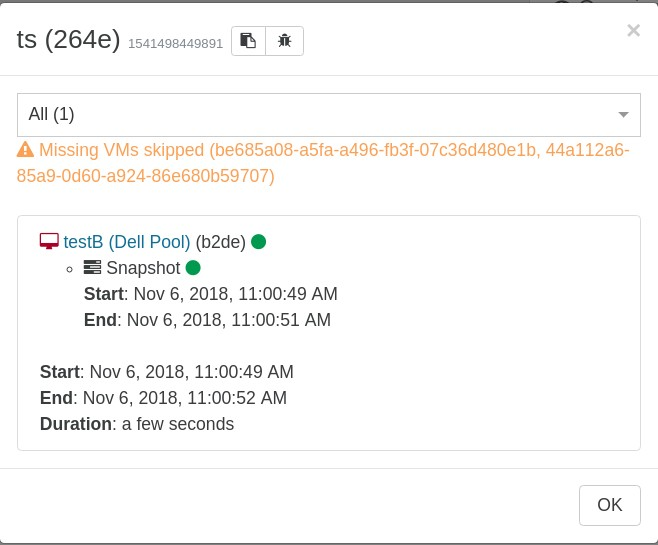 It was already possible to setup an alert when the usage of your host, VM or SR was above a certain value in order to avoid throttling in your infrastructure. It is now possible to set an alert when the usage is below a threshold you defined. It's especially useful if you are expecting a minimum of network activity and can help you to detect issues in your infrastructure. When you add a new pool to Xen Orchestra, you only have to connect the pool master in the Servers option page, adding every host in the pool can result in some unexpected issues. As we noticed it's a pretty common mistake, so you will now get an error message display in order to prevent new connections if the pool is already connected. You may be familiar with the "suspended" VM status which, in short, is copying the RAM data to the disk before suspending the VM. This is a very useful option, however it can take some time for the data to be copied to the disk. The pause VM option is exactly what you need when you need to freeze a VM in its current state in order to resume it later, but have no time to copy the RAM contents to disk. Warning: The Pause VM option is way faster than suspension but it can lead to data loss because the RAM won't be saved on a disk before the pause. Use with caution.